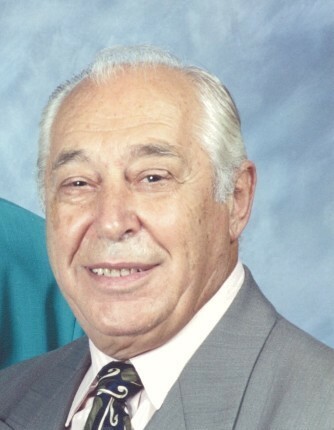 Obituary for Lorenzo Finamore | Nardolillo Funeral Home, Inc.
94, of Cranston, passed away peacefully at home on Sunday, February 10, 2019, joining his beloved late wife Luisa (Barra) Finamore. Born in Villa Santa Maria, Italy, he was the son of the late N. Michael and Marianna (Maiocco) Finamore. Once settled in Rhode Island, Lorenzo worked tirelessly as a Chef to ensure that his family was well cared for. Up to his last days Lorenzo was at his happiest when surrounded by his loving family. He is survived by his children, Nicholas Finamore and his wife Lisa of Wakefield, Maryann Allmark and her husband John of Warwick, Paula Gallucci and her husband Frank of Cranston and his devoted grandchildren Alexander, Lorenzo and Giuliana. He was the brother of the late Loreta Sabatini. His funeral will be held on Saturday at 9 a.m. from NARDOLILLO FUNERAL HOME & CREMATORY, 1278 Park Ave., Cranston followed by a Mass of Christian Burial at 10 a.m. in St. Paul’s Church, Cranston. Burial will take place in St. Ann Cemetery, Cranston. VISITING HOURS are Friday from 5-8 p.m. In lieu of flowers donations to St. Paul Church, One St Paul’s Place, Cranston, RI 02905 in his memory would be appreciated.